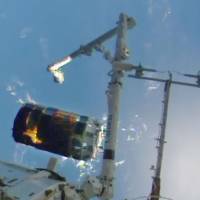 An unmanned cargo ship released from the International Space Station last week has failed to extend a cable needed to test technology to remove debris from orbit, the Japan Aerospace Exploration Agency said. The Kounotori6 cargo transporter, which was released from the ISS early Saturday, was initially scheduled to stretch the 700-meter-long cable the same day but was unable to do so, JAXA said Tuesday. The agency said it will continue attempts to extend the cable until Saturday, before the cargo ship burns up during re-entry Monday. 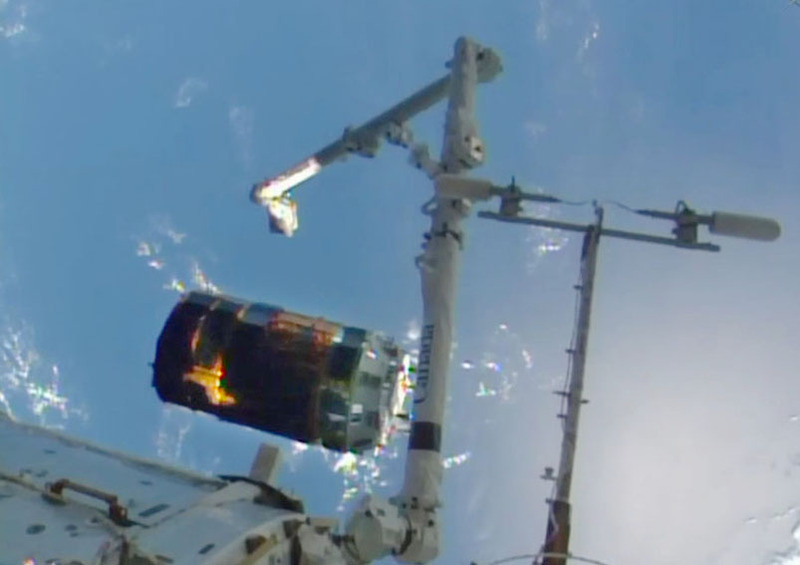 The experiment is aimed at removing a piece of space debris by slowing it down with an electric current passed through the cable. Once slowed down, the debris should burn up in the Earth’s atmosphere. Roughly 18,000 pieces of debris measuring 10 cm or larger, from satellites and rockets, are estimated to be orbiting the Earth, posing a risk to the space station and satellites. The cargo ship was launched last month from Kagoshima Prefecture to deliver seven micro-satellites and supplies to astronauts on the ISS.